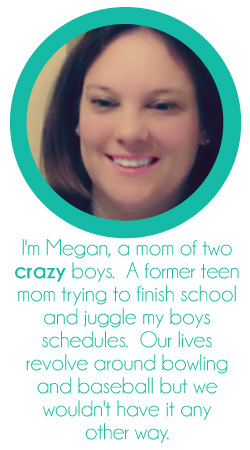 Simply Megan: The Facts of Me!! I'm linking up with Whitney today! I have one brother who is 6 years older than me. We fought like cats and dogs growing up but now we are the best of friends! My husband, CJ is 9 1/2 years older than me :-) We started dating when I was 17. I got married 6 weeks after I turned 18. My parents had only known we were together for a week. My oldest son, Deqlan, was born the day I turned 18 1/2. I love that our birthdays are exactly 6 months apart. Both boys were born by scheduled c-section. And their birth times are only 4 minutes apart! I have been bowling since I was 2 1/2 years old. I haven't picked up a bowling ball since December 27th and it is driving me insane! I have absolutely no clue what I want to do with my life. Which makes going to school difficult!! My husband has a chronic illness that will end up putting him in a wheelchair at some point in the hopefully not so near future. It is what it is and I can't change it. I hate my husbands job. He doesn't have consistent hours and his days off change every 4 weeks. We are currently on day 1 of 7. Single mom status til next week. That's so cool that you are into bowling. We go every once in awhile and I seriously love it. The thing is though I'm so inconsitent- I bowl a strike and then a gutter. It's the worst! 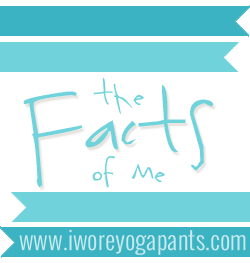 Just found your blog and have loved getting to know you better. Hope you don't mind if I follow along! I wish I was a good bowler! My husband is, but I can never seem to get the hang of it! !